Location managers are an integral part of film making, and are critical to the crew and Film's success. They are often the first crew members hired on to a project, and the last to leave! 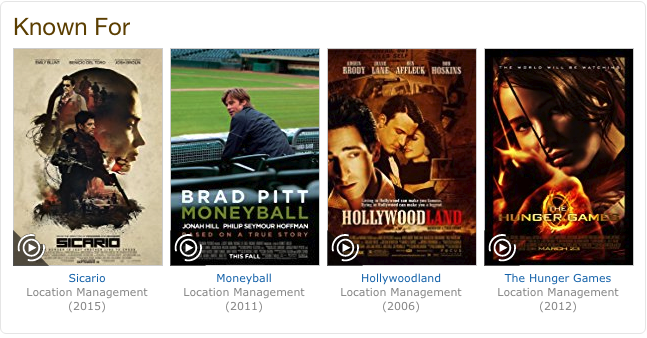 Todd Christensen is an award-winning New Mexican location manager and producer with a FORMIDABLE list of credits. A few of his most recent productions include Sicario, Sicario: Day of the Soldado, Only The Brave and Ballad Of Buster Scruggs. This is an amazing opportunity to learn all about this profession from one of the very best. Be ready to hit the ground running! Class format is based on real-world script analysis and hands-on research, as if you're a real location manager. Bring your tech if you have it (but don't worry if you don't). Roll up your sleeves and get ready for knowledge and fun! Stagecoach Foundation is proud to offer a new class regarding this promising film industry career path. Learn from one of the industry's best, gain valuable insight and push your inspiration forward to a future in film production. Our mission is to bring tools and opportunity to New Mexico and YOU. Join us for this fantastic class. Why is Stagecoach Foundation offering a Location Management class? Stagecoach Foundation is a 501(c)3 nonprofit, dedicated to the production of great works alongside economic opportunity for New Mexico's underserved youth and young adults. Job creation training in support of Santa Fe's economy, with a particular focus on Film, Education and Technology, is built into the Stagecoach Foundation mission. By bringing such opportunities to Santa Fe, Stagecoach Foundation helps Northern New Mexico's youth accrue valuable experience. Such classes support these young artists' growth while creating the kind of real-world, resume-building effort that launch and build careers. What kind of experience does Todd Christensen offer?